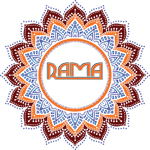 As a well established and widely recognized event management agency in India, Rama Events specializes in conceptualization and execution of premier corporate event management across the globe. For our ability to comprehend and successfully execute engaging conferences and meets we are the preferred India based event management agency of leading corporate houses across India. Film Festivals and screening events. We not only help you choose the right locations, but also take care of the logistics for your corporate conferences and events by organizing everything right from the venue, team building activities, catering, technical equipment, brand display to corporate gifts. Our extensive connections in the industry, as a leading business events management agency, help us put together the best arrangements for your event. Trust our professionalism to save your time, money and energy and host you an impactful corporate event!